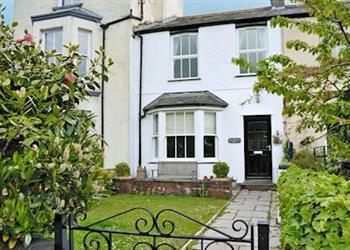 Bay Cottage in Keswick sleeps 4 people. 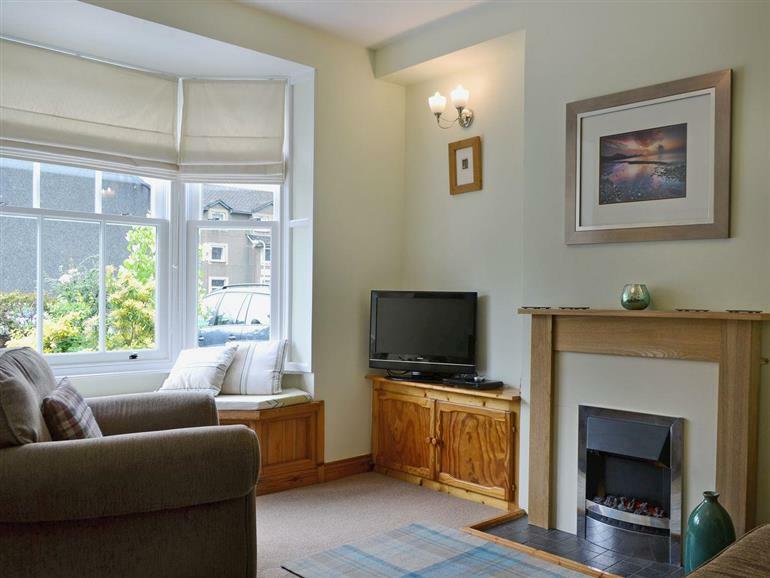 Bay Cottage is a beautifully presented 2 bedroom terraced cottage in north Lakelands most vibrant tourist town, Keswick. Situated in a residential area of similar properties, only 400 yards from the town centre and Fitz Park, 600 yards from the leisure centre and ½ a mile from Derwentwater. The accommodation comprises of a living room, dining room and spacious kitchen on the ground floor and a large double bedroom, a twin bedroom and a large bathroom on the first floor. Couples and young families will appreciate the central location, with visitor attractions and amenities on the doorstep and fantastic walks on the stunning fells surrounding Keswick. Your holiday can be as action packed or as chilled out as you like. The shop, pub and restaurant are 400 yards from Bay Cottage in Keswick. Ground Floor: Living room: With 26 Freeview TV and DVD player. Dining room: With gas stove and 21 Freeview TV. Gas central heating, gas, electricity, bed linen, towels and Wi-Fi included at Bay Cottage in Keswick. Small enclosed lawned front garden and small rear courtyard. On road parking. No smoking. Holidays at Bay Cottage run from Friday to Friday. Pets allowed at Bay Cottage. Bay Cottage is in Cumbria; should you be on the lookout for a special offer, you can find all the special offers in Cumbria. It's always worth checking to see what is on offer at the moment. Do you want to holiday near Bay Cottage (UK1028), you can see other cottages within 25 miles of Bay Cottage; have a look to find your perfect holiday location.